It’s every child’s favorite time of the year again! No school for a couple of months, later bedtimes and wake up calls, and more time to play with friends (and maybe even make new ones, too!). Summer vacation also means parents get to enroll in their children in all sorts of summer activities. From enrichment classes to sports electives. The choices are endless. With a ton of different activities to choose from, it could be overwhelming for some parents and children. Why not try the sport that’s bound to be the talk of the town this summer? With the World Cup coming up this June, now is the best time to get your children into football. Need a little more convincing? Here are just a few reasons why football is the perfect way to go this summer. • It’s played outdoors. By playing football, children are encouraged to run around on an open field, roll around in the mud and bask in the sunlight. It’s the perfect break from indoor activities. • It’s a social activity. Football is a team sport and one of the few sports where you cannot win with individual superstars. When playing football, children are encouraged to collaborate with each other, pass to their teammates and play as one unit. • It develops gross motor skills. Do not be fooled by the word ‘football’ because this sport does not only develop fast feet, but also requires full body coordination. Football players develop a good understanding of how their body moves by performing coordination and agility drills. • Cognitive development. Because of the nature of the game, playing football helps children enhance their visual-spatial awareness, as well as their problem-solving skills. They’re cognitive flexibility is also improved as the game is quick-paced and would require them to think on their feet (no pun intended). • We win some, we lose some. Your children will learn that sometimes we win, sometimes we lose and that’s okay. 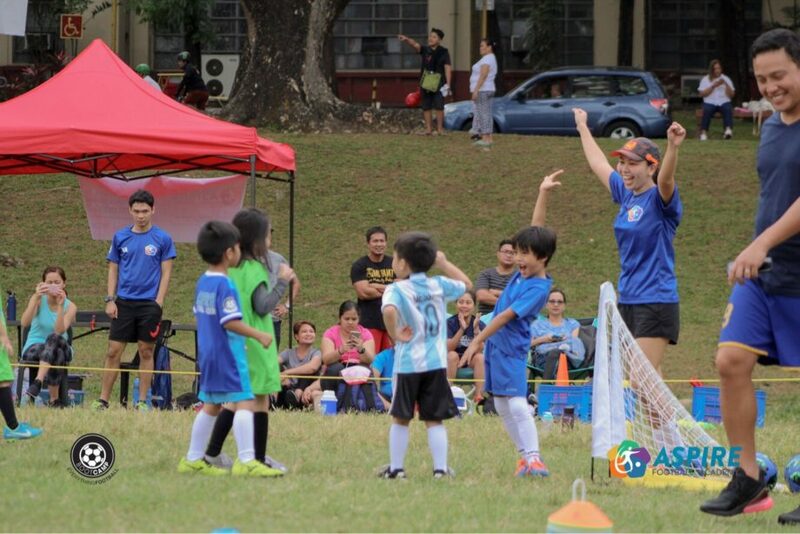 At the heart of every AFC, FIFA and UAAP football tournament is the concept of ‘fair play.’ This is a phrase your little one will hear often as football players are encouraged to play with full hearts, adhere to rules and accept defeat graciously. • Healthy living. Running around all morning is a great way for your little one to exercise and play without it feeling like a chore or another thing to check of their to-do list. It is also a good time to start introducing healthy food with the promise of running faster, playing longer and getting more energy. Introducing your child to football this summer goes beyond just learning a new sport or just having fun, but also teaches them some important things they may need when they’re older. We have to remember that children have very absorbent minds so whatever we allow them to experience while they’re young will become their foundation for later life. “Our program hopes to provide a positive learning environment for the youth and their parents and guardians. It focuses on holistic development carried out through an athlete-centered approach. This means that our program is designed around what our players are interested in and what they need. Similarly, we try to forge a partnership with the parents as we promote healthy encouragement and try to veer away from the ‘win at all costs’ mentality,” shares Coach Anto Gonzales, UP Diliman Men’s Football Team head coach and founder of the Aspire Football Academy. 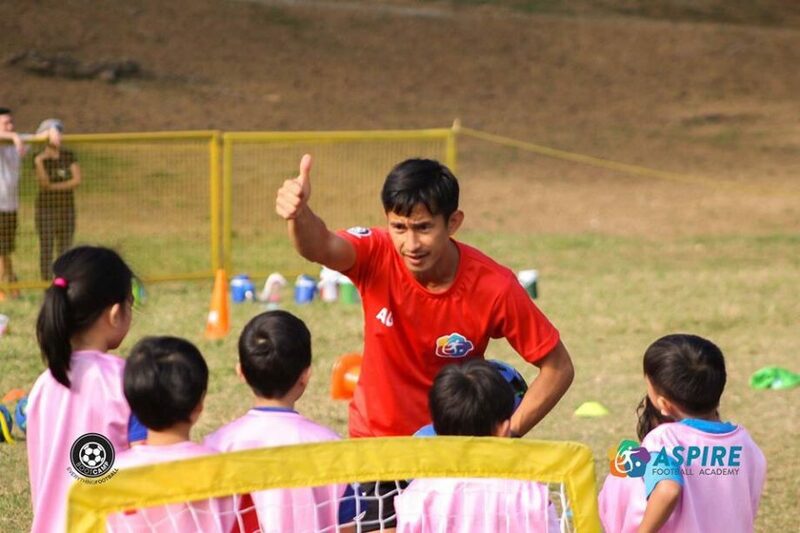 With 25 years of experience playing and coaching football, Coach Anto now wishes do his part in promoting the development of football at the grassroots level. Along with Coach Anto is a dedicated team composed of his former players with backgrounds in Sports Science, Physical Education, Family Life & Child Development and extensive coaching experience who have created a program perfect for your little one.